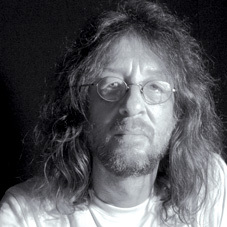 "Paul Hart, born 1954, is a music composer. He spent his early life in Ilford, Essex. He studied Piano, Violin and composition at the Royal College of Music, first as a junior exhibitor and later full-time. Having developed an early interest in Jazz music he left college in 1973 and started working as a bass player, piano accompanist and jazz violinist to Cleo Laine and John Dankworth, an association which was to last into the early eighties and take him around the globe many times. He was also much in demand as a session musician. During this period he met Joe Campbell, and in 1979 the pair formed 'Joe & Co' a company specialising in composing and producing music for advertising, film and television. The company came to be regarded as one of the foremost music production companies in the world. The list of awards won by Campbell and Hart is testimony to this fact. He is a prolific composer having written extensively for Jazz Orchestra (including a guitar concerto for John Williams), Wind Band (pieces such as `Cartoon´ and `Circus Ring´), Orchestra, and smaller Ensembles. His orchestral works include two concertos (one written for Evelyn Glennie), an Anthem (dedicated to Nelson Mandela), and a set of variations on the British National Anthem. Paul has had three performances of his works at the BBC Promenade concerts including the Jazz composition `Out Of Hamelin´ performed by the National Youth Orchestra. His books of compositions and arrangements for flute & saxophone in the `All Jazzed Up´ series are best sellers the Associated Board (ABRSM) have used them as examination pieces. Other commissions include pieces for London Brass, the British Clarinet Ensemble and The Kings Singers.Together with the orchestral conductor David Arnold, he has composed a host of music identity packages for radio stations including `Classic FM´, `Jazz FM´ and the `BBC World Service´.In 2009 his composition `All Thus Stand Light´ had its first performance, this was commissioned for the classical guitarist Fabricio Matos, as part of his Ivor Mariants Guitar Award from The Worshipful Company of Musicians. Also in 2009 the guitarists John Williams and John Etheridge performed another new composition by Hart as part of the `Music at Oxford´ series in the Sheldon Theatre. This new wind band piece ""Bright lights,,, city nights"" has been commissioned by Louis MARTINUS from HAFABRA Music."